I have been making my Blueberry Sour Cream Cake for awhile now which prompted me to try pretty much the same recipe but using fresh strawberries instead! Am I glad I did! Of course, I used the Demarle Non-stick bakeware to make it perfect – particularly the lovely Sunflower Mold. It came out flawless as you can see in the photo. It was moist and truly flavorful. Most of all this cake is low-fat – yes, you won’t find an inordinate amount of butter here – barely 1/4 cup of light olive oil and just relying on the yogurt (or light sour cream) and the berries themselves to give the cake it’s lovely texture and moisture, too! 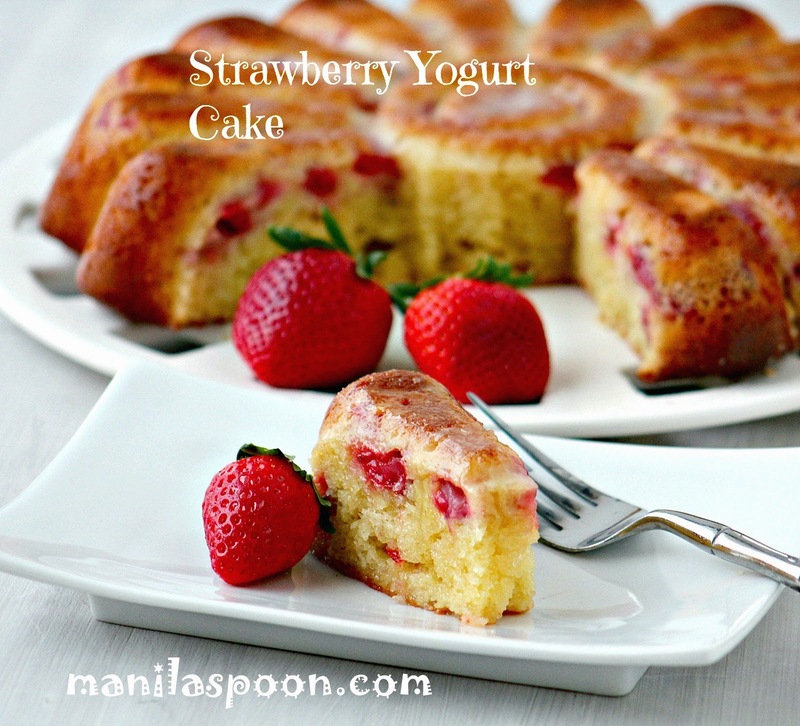 Most of all the lovely strawberries add an extra dose of freshness and extra yumminess to this cake. Enjoy!!! *The sweetness with this amount of sugar is just fine but feel free to lessen and adjust it to your taste should you wish, too. Preheat oven to 350F/180C. Grease your bundt pan with butter and a little dusting of flour or use a nonstick baking spray. I use my Demarle nonstick Flexipan so there’s no need for any spray or grease. In a large mixing bowl, sift together the flour, baking powder and salt. Set aside. Beat or whisk the eggs until combined. If you’re using a mixer, increase the speed to medium and then slowly add the sugar until the mixture has become smooth about 3 minutes or so. Use a tablespoon to slowly add the sugar. Once the mixture is smooth, stop the mixer and add the rest of the ingredients – sour cream, oil, lemon juice, lemon zest and vanilla – and beat or whisk just until well blended. Turn the speed to low again and then slowly add the flour mixture just mixing until the dry ingredients have become moist. Toss the chopped strawberries in the 2 Tablespoons flour until coated. Stop the mixer and then gently fold in the strawberries. Transfer to the prepared bundt pan and bake for about 40-45 minutes or until a tester comes out clean. Let it cool in the pan for at least 30 minutes before transferring it to a wire rack to cool completely. You can also opt to let it cool fully in the bundt pan to ensure that the cake removes easily and no portion remains on the pan. Remember that the cake doesn’t have much fat so it’s a little denser (but not heavy) than your usual cake. In a Demarle pan, I only have to wait for about 10-15 minutes or just until cake is cool enough to handle and then I turn it over. Easy. Sprinkle with confectioner’s sugar if you like or make a lemon glaze to drizzle on top instead. It’s already great on its own so these are totally optional. Enjoy your delicious Strawberry Cake! If you wish to print the recipe there’s a print-friendly icon at the end of the post. Click on the “remove images box” for easy and convenient printing. This looks delicious! Pinned it so I can give this a try. Lovely post. Thanks, Anne! It is truly delish, if I may say so. Thanks for stopping by! What a lovely looking cake Abby. Simply loved the clicks. Thanks, Rimli! Very sweet of you! How lovely! I just have to bake this cake! Yes, I do hope you try it! 🙂 Thanks for stopping by. Oh yum, this looks and sounds so delicious! Thanks for the recipe! I don't know the calorie count, I don't count calories, sorry. If I use the Demarle Sunflower Mold, there'll be about 16 servings, it may be 10-12 in a regular bundt. Its looks delicious and i think so easy to make i "ll try it.. Thanks, Noriza. Hope you like it. 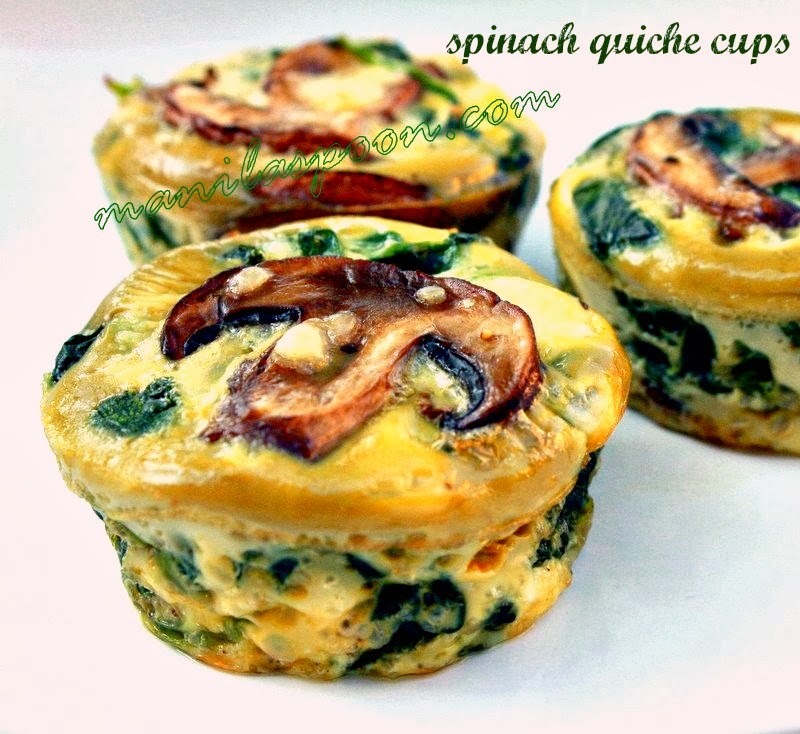 I love the sound of the recipe and your photo looks so yummy! I have to try this! Thanks, Anita. I hope you get the chance to make this. Pinned it! Looks fabulous. Strawberries are wonderful in everything. You cake pans make it look so gourmet. Thank you! I do love my Demarle Flexipan. Looks so delicious! I'm thinking of making this for a friend's birthday next weekend, since strawberry cake sounds perfect for a spring treat. It's a beautiful cake. Love that gorgeous mold too. Thanks so much for sharing at Weekend Potluck. Do come back soon…please. Do you really mix in 1 1/2 cups of sugar? And … what do you mean with "vanilla"? If it's too much for you George, modify it. I love, love, love this gorgeous cake!! Thank you so much, Tara! So glad you love it as much as we do! I am so delighted to learn that Caryn! Appreciate you coming back and giving us a feedback. Please enjoy the other recipes here. Where can I purchase the sunflower pan? What a thing of beauty! And I love the pan. Pinned it and shared it – it's awesome! Made this tonight with raspberries for my husband's birthday. It was a huge hit. Very tasty and a perfect texture. It turned out of our sunflower pan (a different brand from yours, but similar shape) easily, and sliced beautifully. I subbed lime juice and zest for the lemon, to stand up to the tart raspberries. Delish! Thanks for a new standby summer cake. You need to find a Demarle Rep that sells this. I used to sell it but not anymore.